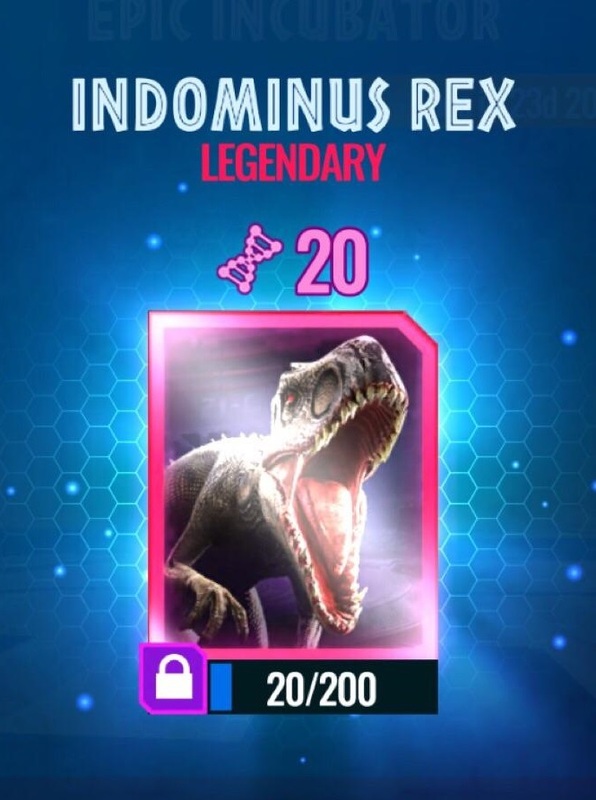 If you’re into playing Jurassic World Alive (JWA), a Pokémon Go-style GPS location based augmented reality (AR) game which is ruined by excessive and ridiculous Pay2Win (P2W) greed by developer Ludia as it requires huge amount of money in order to gain advantage and proceed to higher levels in the game, you can now grab a incredibly generous incubator sponsored by AMC Theatres. 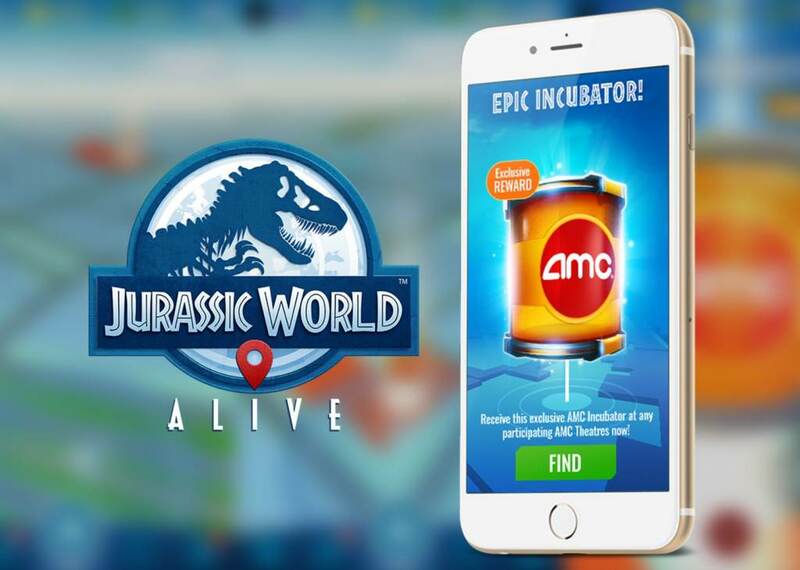 In conjunction with the release of hit movie Jurassic World: Fallen Kingdom, AMC Theatres is having several promotional offers releated to Jurassic World, and one of them is for Jurassic World Alive players to collect an exclusive in-game reward at a participating AMC Theatre location between June 6th and June 29th, 2018. The AMC legendary chest will give any player a leg up against players who don’t manage to get it. So if you haven’t get the AMC epic incubator due to distance and location issue (AMC epic incubator is available in select theaters of AMC chain in USA only), here’s the trick on how to collect the AMC epic incubator from anywhere in the world. Firstly, in order for bright orange AMC epic incubator supply drop to show up in the game when you’re near (when AMC epic incubator works and shows up as available for you, you can see the sign of it in game even if you’re tens of miles away), you need to login to the game with an IP address based in the US. And secondly, of course, to spin the capsule that gives you the AMC epic incubator, you must be near to one participating AMC theater. Thus, if you’re in the United States of America, you can personally visit an AMC location indicating in the game. If you’re outside of US or the AMC theater is too far from you, you can try to teleport or spoof to grab the AMC epic chest. Depending on which mobile devices you’re using, there are several ways to do it. You can use a free VPN service such as WindScribe and Hotspot Shield. Most VPN services now offers VPN client that automatically connects to the VPN server after signing in without any configuration, so you just need to choose a VPN server that is located in United States of America. Alternatively, you can use a proxy too. You can search for free proxy server (preferably anonymous proxy or elite proxy). You can use the proxy by editing the Wi-Fi network connection and then choose “manual” to input the proxy server details in both iOS and Android smartphone. To get the GPS coordinate for AMC Theater, search for AMC in Google Maps or other maps service, and there should be plenty of results. There are many fake gps or gps spoof apps available on Google Play Store. Follow the instructions (i.e. enable mock location support, convert to system app, etc.) and you’re good to go. For iPhone users with iOS 10 or earlier, it’s possible to enable the “Simulate Location” on Apple Maps right on the mobile phone. Another free method to spoof GPS is by using Xcode to simulate a location, but the hassle may be too much just to get the exclusive AMC legendary chest. The easier way is probably to use an Android emulator as outlined below. Download and install your favorite Android emulator such as Bluestacks, Nox, MEmu, Remix OS Player, and many more. Then install Jurassic World Alive game via APK or Google Play Store, set the location via emulator’s built in virtual GPS spoofing setting, and you’re good to go to grab the precious goods. You can only collect AMC epic incubator chest once. Have connected to the game with a USA IP address? Try restart the game as the app performs the detection on startup to determine whether it should offers you the legendary incubator. Note that if you’re not using a US IP address, you won’t be able to see the AMC orange buiding (which appears as an orange area) nor AMC orange epic incubator. While you’re “at” US, take the chance to visit some Walmart supply drops too as they dispenses more coins and cash.